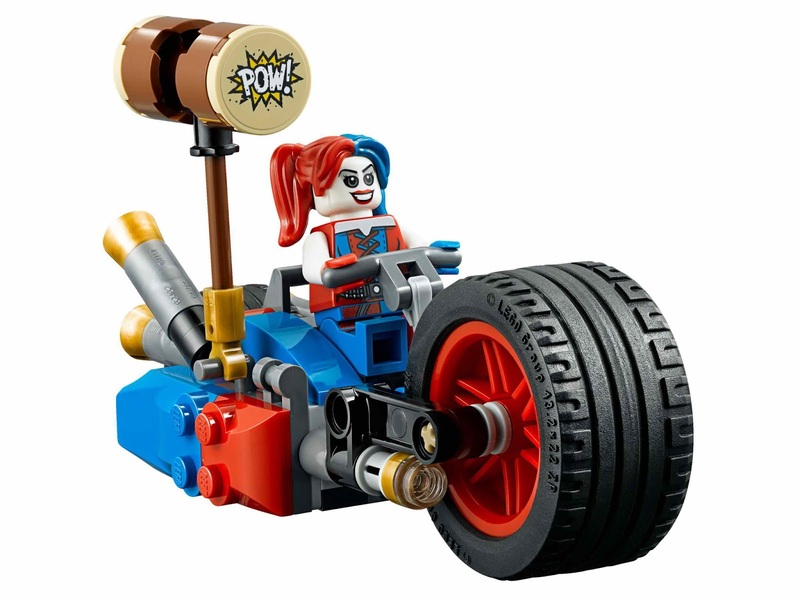 come with a batcycle and a harley quinn’s bike. 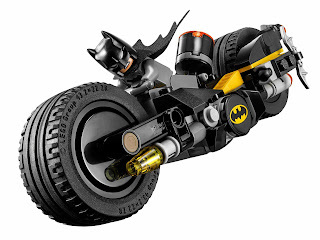 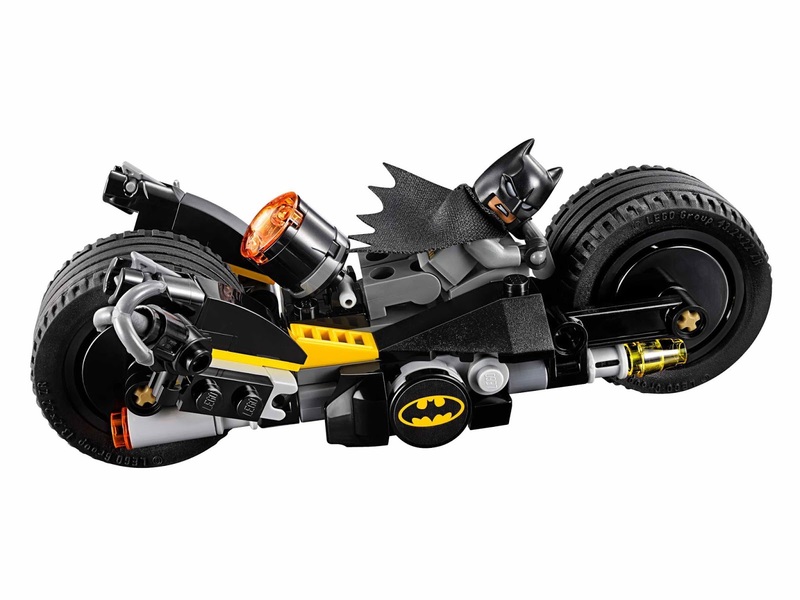 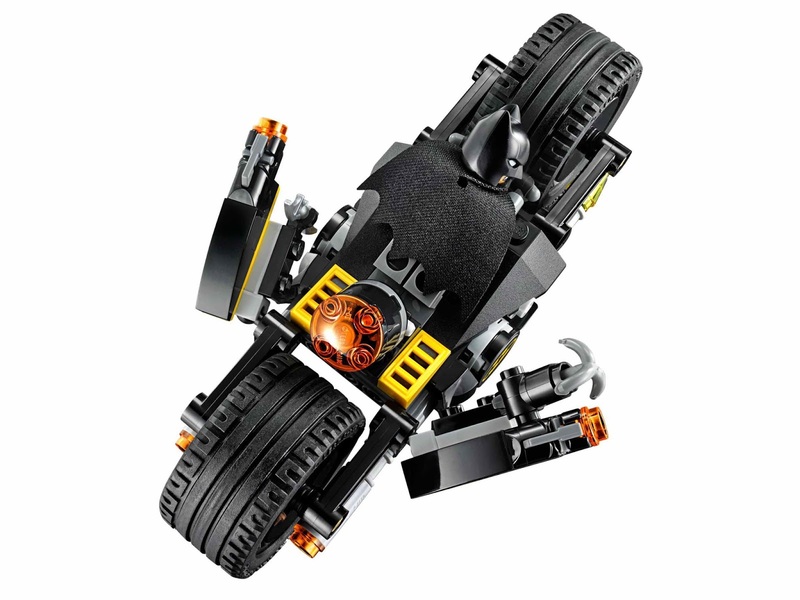 the batcycle has big rubber tire wheels, 2 rotatable stud shooters, weapon holders for batman’s batarang and grapple hook gun. 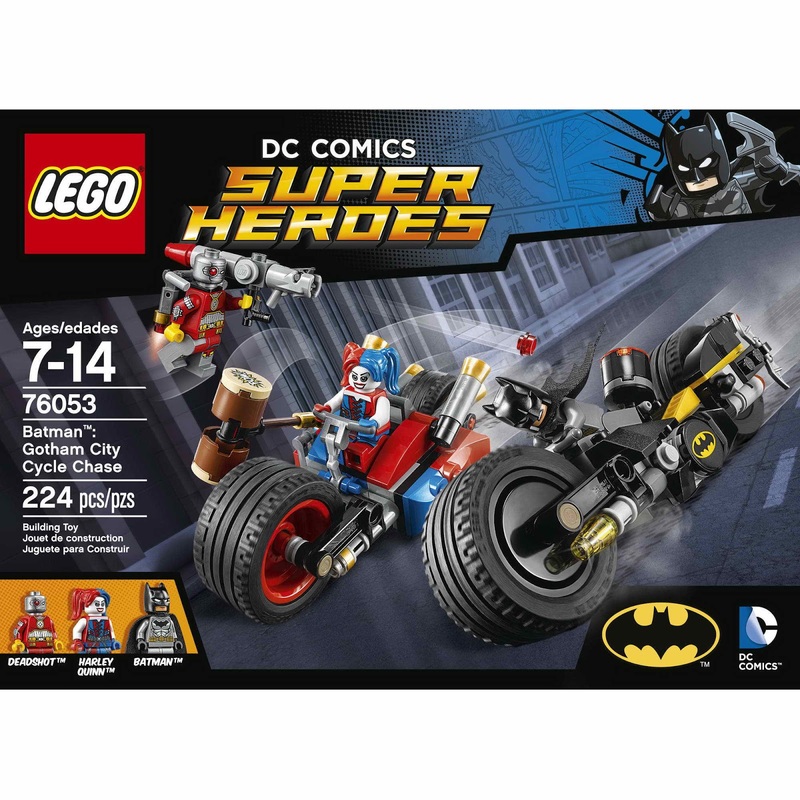 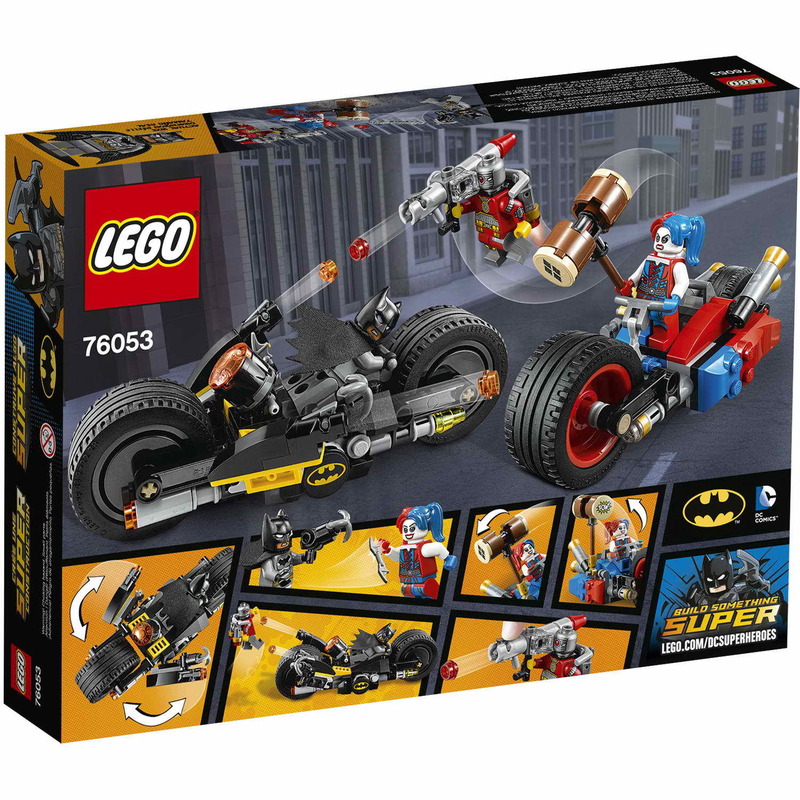 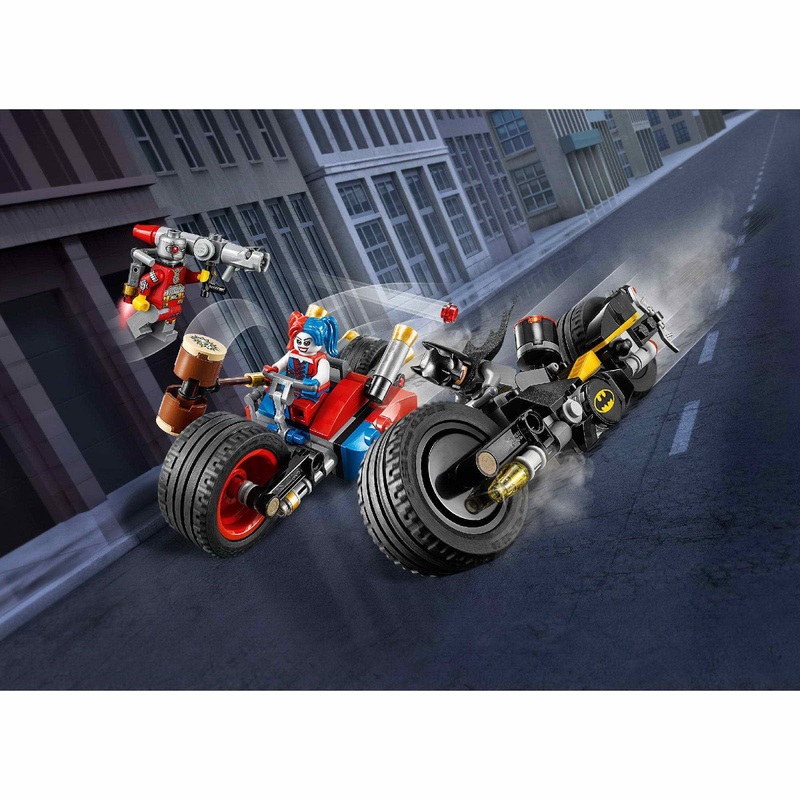 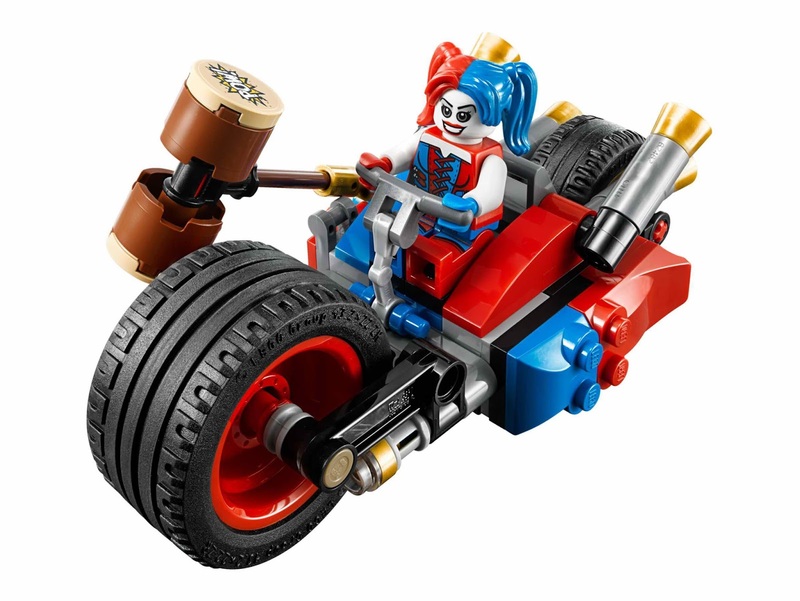 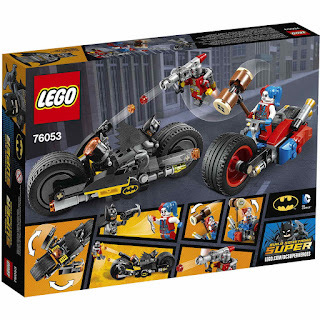 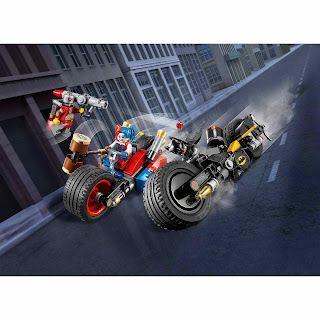 the harley quinn’s bike has a big front wheel, rubber tires, adjustable exhausts and a hinged attachment point for harley’s foldable out hammer. 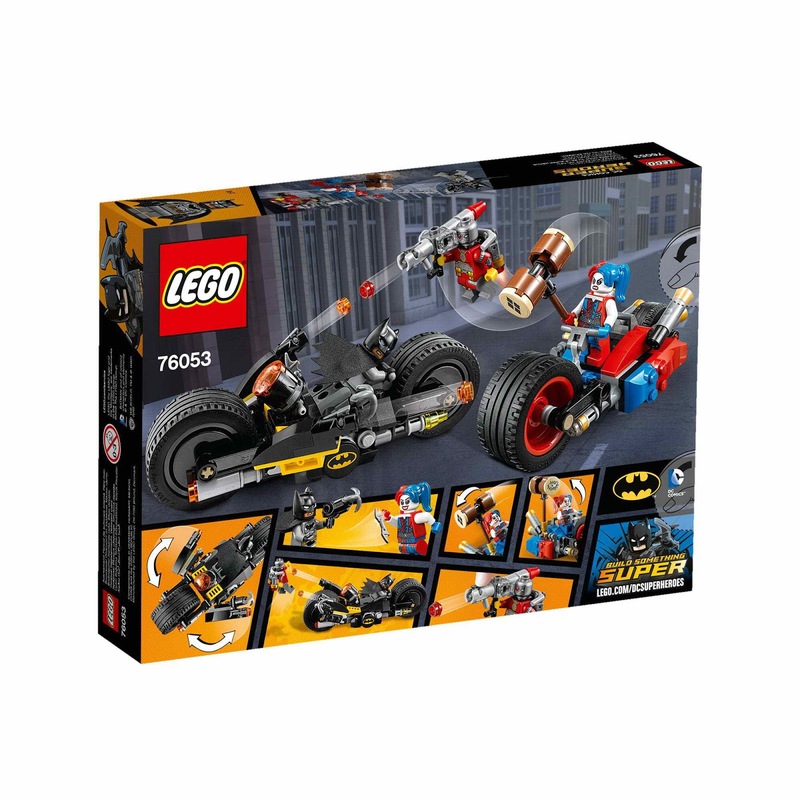 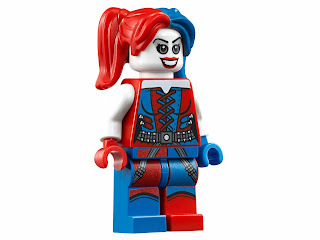 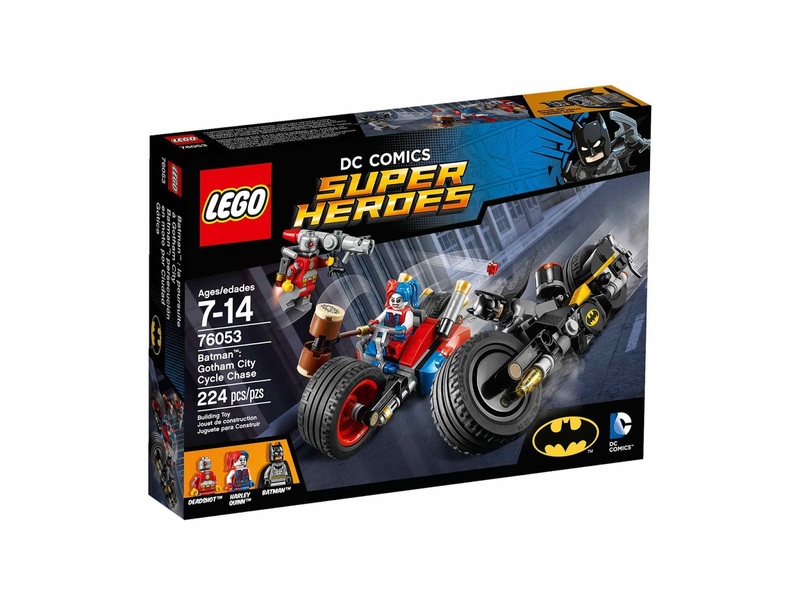 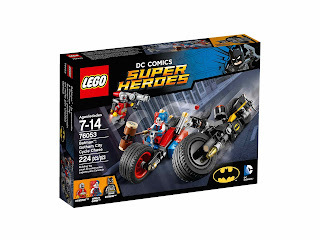 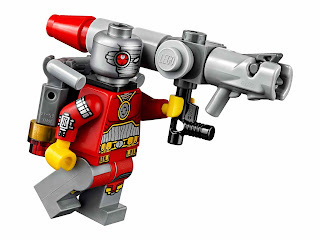 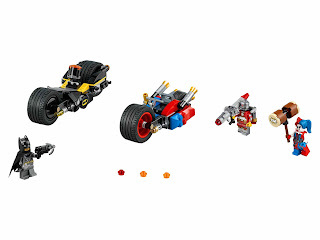 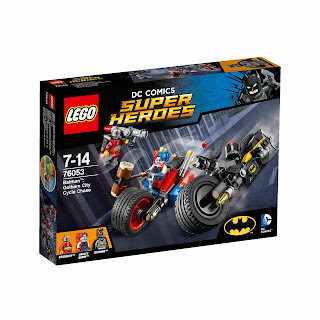 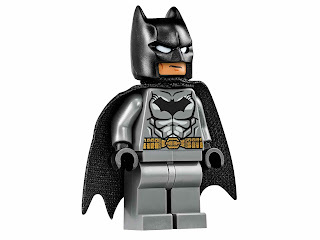 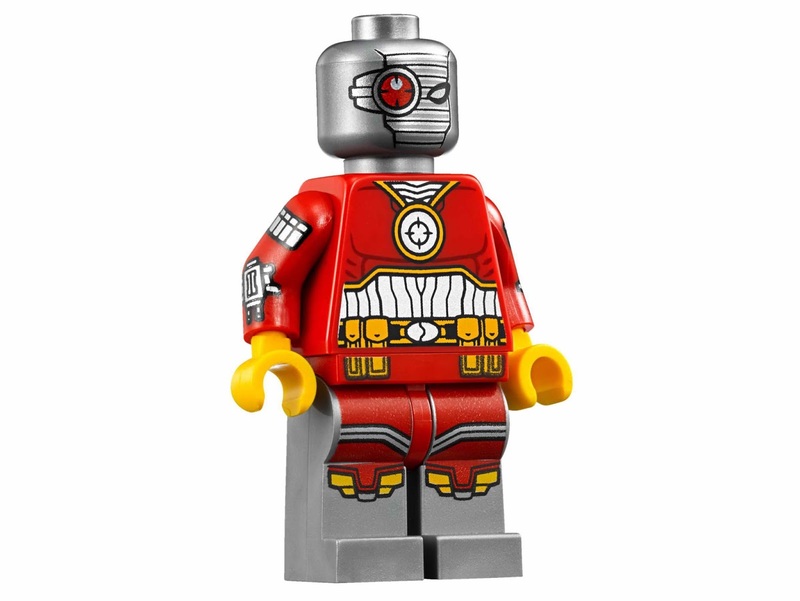 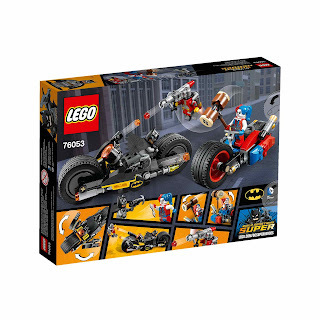 minifigs included a batman minifig, a harley quinn minifig and a deadshot minifig.